Allegations of criminal conduct can have a significant impact in all areas of your life. Fort Lauderdale criminal defense attorney, Michael Dye, has the experience and ability to get you the best possible results. Mr. Dye has been a practicing criminal defense attorney in Broward County since 2004 and routinely handles both misdemeanor and felony charges in Broward, Palm Beach and Miami-Dade counties. Call (954)990-0525 to schedule a free consultation. No matter the criminal charge, we work hard to get our clients the best possible result. We can also help you have your criminal record sealed or expunged if you are eligible. Over 2,000 people are arrested for DUI every year in Broward County. This number continues to increase each year as the police make more “DUI Drug” arrests each year. You can beat a DUI. 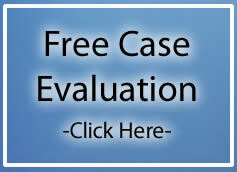 Broward County DUI Lawyer, Michael Dye, has significant DUI trial experience. Mr. Dye has successfully represented individuals with BAC levels from 0.00 to 0.34. Mr. Dye has also successfully represented individuals charged with DUI under a drug impairment theory. Your attorney needs to be ready and able to take your case to trial in the event that you are unable to reach a satisfactory resolution. Mr. Dye has substantial experience taking both misdemeanor and felony cases to trial. Mr. Dye has tried cases including, but not limited to, DUI, possession of a controlled substance, driving on a suspended license, leaving the scene of an accident with injury, possession of drug paraphernalia, capital sexual battery, armed robbery, kidnapping and many other serious criminal matters. Mr. Dye has also been successful at having crucial evidence excluded at trial due to the evidence being illegally obtained. Call criminal defense lawyer Michael Dye now at (954)990-0525 to see how he can assist you.